When and how to prune hydrangeas like Endless Summer and other varieties seems to be one of the most confusing issues that gardeners face. Why is that? Conflicting information that’s what the problem is. So in just a moment here I am going to forever set the record straight for you. But first, let’s have a chat about this plant, Endless Summer Hydrangea. In short? It’s an awesome plant and unlike some of the other Hydrangeas, this baby blooms like clock work! Because it is said to bloom on both new wood and old wood it is a more predictable bloomer. Is that true? What in the world do you mean by new wood and old wood? Okay. In the Nursery Biz we refer to the stems on plants as “wood”. Why? I dunno, we just do. So any growth that has taken place this growing season is considered new wood. Growth from previous growing seasons is considered old wood. But first, another photo for you enjoy. I’ve been in this business in one way or another since about the age of sixteen and for those of you that are counting, that would be about forty five years. No schooling, no college, no trade school, just me and the dirt learning from others who also learned hands on. Endless Summer Hydrangea from You! Take a Peek. My confession? I can’t figure out all of this new wood, old wood, when should I prune my hydrangea nonsense. I get that Hyrdangea like Paniculata Grandiflora and Annabelle bloom on “new wood” and therefore if you trim them in the spring or summer before they bloom you are going to stop them from blooming. I got it. That’s easy. I Recently Broke the Rules of Hydrangea Pruning and . . .
My Nikko Blues are blooming like crazy plants. This is what happened. This spring I bought about 100 Nikko Blue Hydrangea. These plants were field grown and dug just a little bit late and they suffered some damage from being dug so late. In short, they looked bad. So we took to pruning them in May. May!!!!!!!!!!!!!!!!!!!!!!!!!!!!! Mike are you a crazy person? Hmmmm. That’s debatable, but I am a nurseryman and they needed pruning so they got pruned. That’s how it works in the nursery biz. There are no books, no rules to follow, no Internet Geniuses to ask, keep in mind, nurseryman have been at this long before there was an Internet, so believe it or not, plants can function without Google. My Nikko Blue Hydrangea looked pretty bad so we cut them back considerable and there really was nothing more than a few inches of growth left after we got done pruning. After that we left them alone. Plants like that. They like to be left alone when they are having a bad day. They need time to recover. So here it is July 2nd and those Nikko Blue Hydrangea that we so viciously pruned are nice and full and loaded with flowers. Go figure! Good thing I don’t listen to those guys on the Internet. I am not including photos of the Nikko Blue because this post is supposed to be about Endless Summer Hydrangea and how to prune them. But I will get those posted for you. So . . . This is How You Prune Endless Summer Hydrangea. You look at the plant, not the calender, and you prune the plant as needed. Ideally the best time to prune any Hydrangea is right after it blooms. Write that on your wrist. “The best time to prune any hydrangea is right after it blooms.” However, life gets in the way and we often miss these “ideal windows of opportunity for pruning” so what should we do when that happens? We should prune the plant. That’s what we should do. If it needs pruned, then by all means prune it. Not pruning a plant when it needs pruning is the worst mistake you can make in your garden. Prune when the plants need it. Do not wait for these “ideal windows of opportunity” for pruning. Prune, prune prune. If they need it pruning, prune them today. When you see me on video look in the right front pocket of my bibs. Pruning shears. They are part of my uniform. And they come out often! Doesn’t matter when it is, if I’m walking by and I see something that needs pruned, it gets pruned. About this Endless Summer Hydrangea. These photos are from the plants in my landscape, we’ve got four of them and they are awesome. They are very predictable about blooming. They bloom like crazy and they are easy to care for. Other varieties from the Macrophylla family of hydrangeas like Nikko Blue and some of the reds? Not so much. They can be more challenging. So if you want a hydrangea that you’ll really enjoy, hunt down an Endless Summer Hydrangea. People Would Give You Money for them. Check it out. Questions? Comments? Shout em out below! I just wish I knew what kind our condo planted. Blooms white then turns pinkish as it matures. I prune them late summer. Seem to be doing well. Can you tell me what they are? Just a note — the name “Endless Summer” is copyrighted, and I believe all the hydrangeas in the collection are patented or patent applied for. Are there any reblooming hydrangeas that are not patented? I have several around my yard, looking forward to propagating them in 15-20 short years from now when the patents expire (they should be pretty large by then and I can get a lot of cuttings!). Look in to All Summer Beauty and I think the name is Hydrangea David Leach, which is supposed to be very much like Endless Summer. whats the advantage of becoming a member or getting the university package? If you are interested in growing for profit then the university is a great investment. 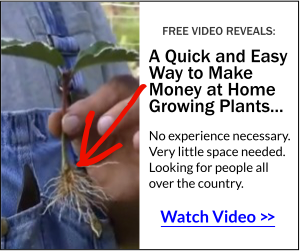 At only $97 you only have to grow and sell about 17 plants to recoupe your investment and the university contains at least 17 years with archived information and products that we’ve sold over the years. Those products sold for hundreds of dollars. I just bought a Harry Lauder walking stick. I will be glad to pay for instructions on what to do now. It has 3 trunks coming up and I would like to make it a tree. I can send pictures. Please contact me thank you very much —Pat. Depending on how old the tree is training to a single stem might not be all that easy. 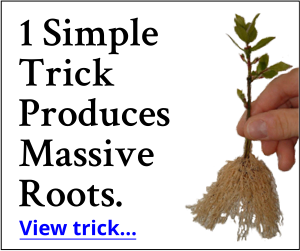 If possible it’s easy as removing two stems and training the third to grow straight up.